More and more information is being stored in the cloud, and many organizations are beginning to migrate their data into cloud storage to increase portability and accessibility, especially healthcare companies and their agents. One kind of data being brought into the cloud is Protected Health Information (PHI). PHI is basically the personal health information that a health care plan/insurer would have about a customer – which is quite a bit. Many healthcare organizations are moving to the cloud to help meet their clients’ needs and have their PHI accessible in different areas and to different providers. The issue with this happening is that PHI is governed by HIPAA, the Health Insurance Portability and Accountability Act. Very simply, it sets security and privacy standards to make sure an individual’s health care information is kept (you guessed it) secure and private. HIPAA was recently updated with a new ‘Omnibus Rule’ which altered some key definitions related to the transfer, storage, and access of PHI. 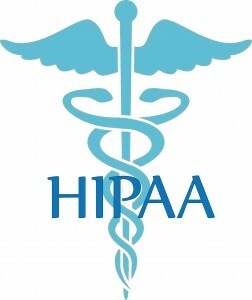 These new definitions essentially mean that most cloud storage providers must now follow HIPAA compliance if they wish to legally handle PHI (and they have until September 23, 2013 to comply). We’ve created a white paper for HIPAA and its new Omnibus Rule to help shed some light on how this will affect Cloud-based companies and Mover. There’s also a short slide deck outlining the key points from the white paper. Please note that this is provided for free, to you, as a copy of our own research and it does not constitute legal advice. If you enjoy the read please don’t forget to let us know on Twitter, Facebook, and LinkedIn!